Don't miss out! Dare to dream and bold things can happen. That's the sort of brave, innovative thinking that inspired us to create the Bold New Civic Sedan. 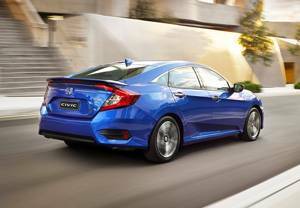 In fact, the internationally-awarded 10th generation Civic elevates small car sophistication to a whole new benchmark. Look to test drive? Enquire now with Trivett Honda Parramatta in Parramatta through our Service department online.